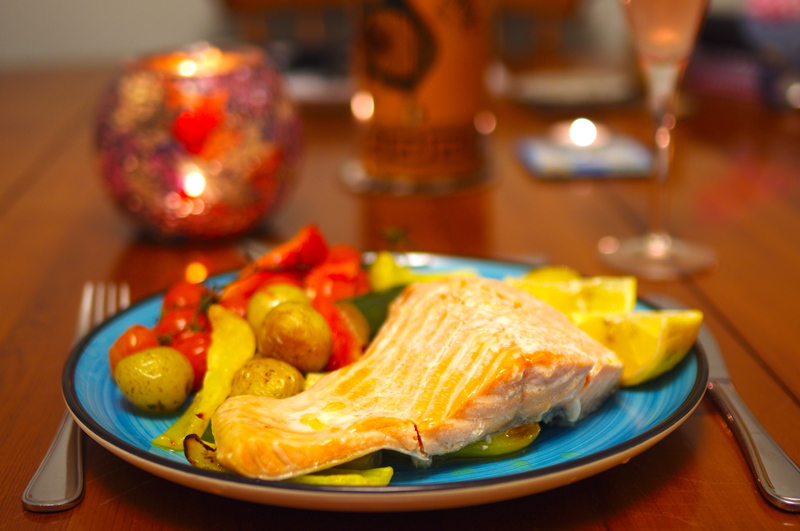 Salmon fillet with roasted vegetables. 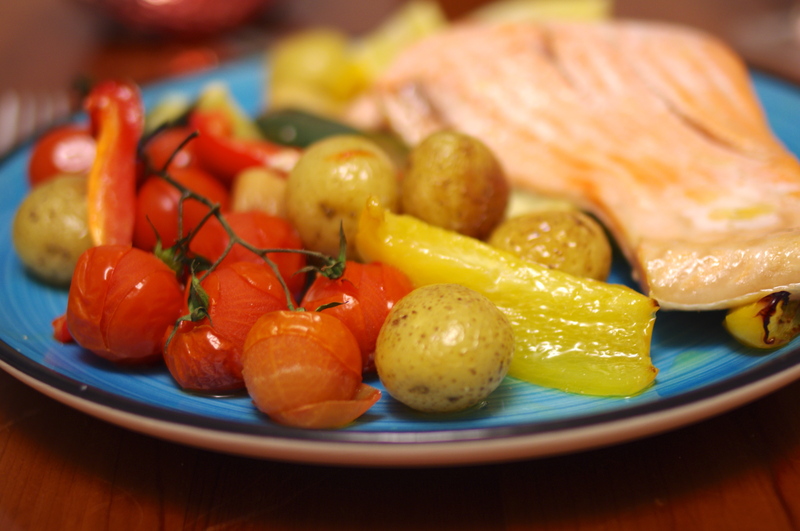 I love baked salmon and roasted vegetables because it is easy, nutritious and super tasty. Salmon is high in omega-3 fatty acids, low in calories, and a good source of vitamin B6 and B12. It is a great choice for dinner parties. Salmon tastes best when cooked medium rare, so take care not to over cook it as it will lose its flavour. This recipe would make an impressive Valentines supper! 1) Preheat oven to fan 180C/conventional 200C/gas 6. Boil potatoes for 10 minutes until tender, drain and tip into a shallow oven dish. 2) Cut peppers and courgette into chunky strips and lay in oven dish. Add in whole garlic cloves and evenly coat with olive oil. 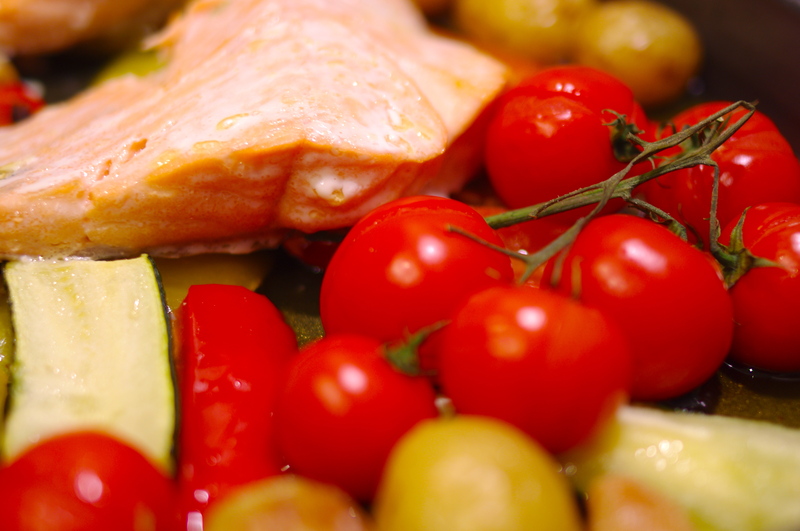 Place salmon fillets and vine tomatoes on top of the vegetables. Season with salt, pepper, mixed herbs and then drizzle fish with olive oil. 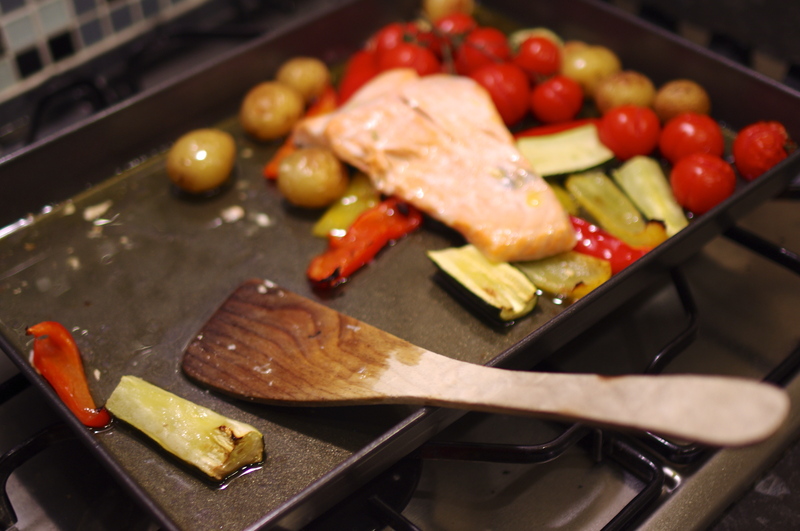 3) Bake in the oven for 20-30 minutes until the salmon is cooked and just starting to brown. 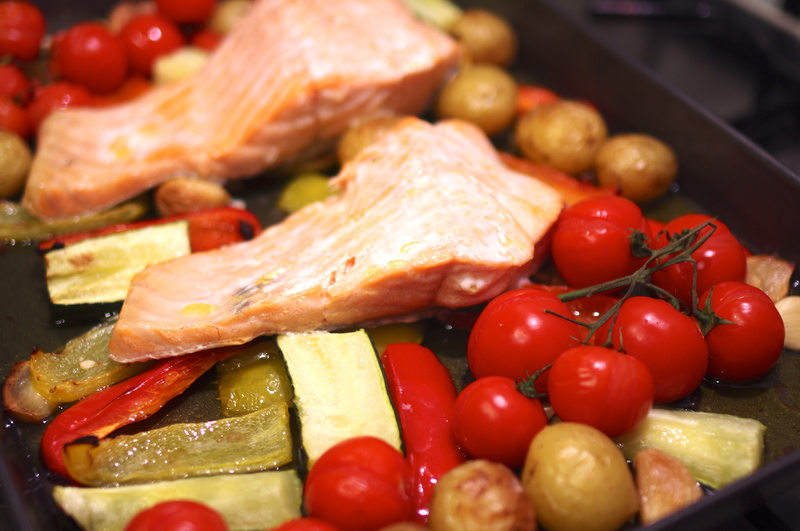 Serve salmon on a bed of roasted vegetables with a glass of chilled white wine. Delicious!